Home to a large species of animals and birds, Kanha National Park is an ideal weekend destination for the tourists who are bored with monotonous city life and want a break from unending pollution. Well equipped with all modern facilities, Tall Tiger Retreat welcomes a discerning traveler with a hearty smile, a perfect spot for spending some intimate moments with nature, where the surging cascades, verdant valleys and the rippling river keeps you spell bound. Herein lies the essence of Kipling's novels, and people would love to visit the place for the innate denizens of nature. Come along with your friends and family and while you are worn out, rest in Tall Tiger Retreat in Kanha. Tall Tiger Retreat exudes concern and care for its visitors amidst a charming ambiance. The reception offers a hearty welcome to the discerning travelers. Built in a cottage style, Tall Tiger Retreat in Kanha is reminiscent of the times of the old age saints who prayed in some corner of dense forests to attain salvation. You would love to see the extraordinary landscape from the portholes of your rented apartment the richly hued National Park; sometimes wearing dark green attire whilst at others proudly displaying its fresh green looks. With a flash of luck, you may also be able to notice one or two wild animals, which would forever remain in the recesses of your memory. Attached bathrooms meant for your sanitation are there at hand; you may have a comfortable hot water bath after retiring from an exhausting journey. The culinary delights consisting of Indian, Continental and Chinese delicacies served at the retreat are just mouth watering. Come and have a taste of the aromatic local dishes while also indulging in some exquisite Continental menu. Beverages are also ready to be served, just awaiting your order. The travel desk offers you the opportunity to decipher the jungle saga. 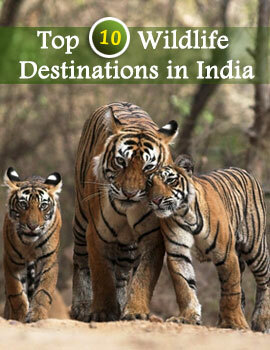 Kanha National Park is supposed to be a veritable paradise for a nature lover. Whist a Jungle Safari may consist of a mesmerizing tour to various places in the National Park, a walk through the fringes may be as much interesting. Come and enjoy the bounty of nature from Tall Tiger Resort, Kanha.